You have identified the ideal resource for garage door sales in Flower Mound, Rockwell, Lewisville, Richardson, and Mesquite, Texas. Complete Overhead Door is a long-standing, family owned and operated company that has been serving the community for more than two decades and counting. When you have achieved this level of longevity, you must be satisfying your customers, and we invite you to visit our testimonials page to see what people think about our work. We have a wide reach, so in addition to the cities listed above, we offer garage door sales in Carrollton, Allen, Frisco, and Garland, Texas. When you work with our company to obtain a garage door for your home, you have freedom of choice. Our inventory contains countless different shapes, colors, window configurations, etc. Regardless of the dimensions of your home and the existing motif, we definitely have the right product in stock. 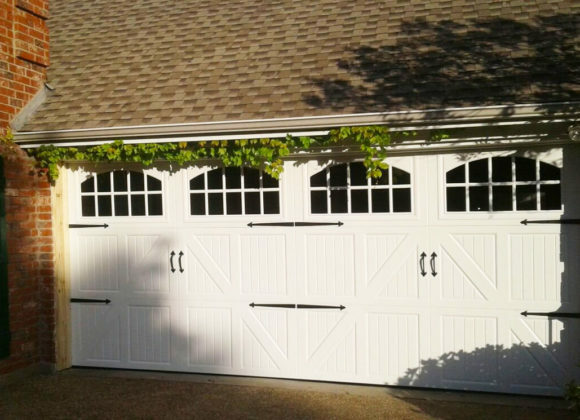 Of course, if you need inspiration, you can check out our Richardson-Mesquite-Flower Mound garage door sales gallery. Our company is the leading resource for residential garage door sales in the areas we serve, and our offerings also extend into the commercial realm. If you operate any type of business, regardless of the size or scope, our commercial garage door sales team can help you identify the product or products that ideally suit your needs. Plus, our installation technicians are the best in the business, and they have experience working on every type of commercial structure imaginable. There are many qualities that set us apart from other commercial garage door sales companies, and one of them is the fact that we are straight shooters. When we say that we will come out and give you a free estimate, we will do just that. If you choose to shop around some more after we give you a number, that is your prerogative. Unfortunately, there are other garage door sales companies that will hand you a bill for a “trip fee” if you say that you do not want to go forward. They are hoping that you will accept the questionable quote to avoid paying this hidden charge. We find this practice to be dishonest, and we would never consider doing such a thing. If you are ready to take action, you can reach one of our Flower Mound-Mesquite-Richardson garage door sales consultants at 972-412-6069 or 817-482-1957.